Tornado Foosball Tables are the best of the best, no question about it. But, if you just want the best, regardless of cost, you can’t go wrong with any of their models, especially the Tournament 3000.
Who Makes Tornado Game Tables? Tornado tables have been manufactured by Valley-Dynamo since 1999. Valley-Dynamo is a leader in coin operated and home table games. They are located in Richland Hills, Texas. What Makes a Tornado Table Special? 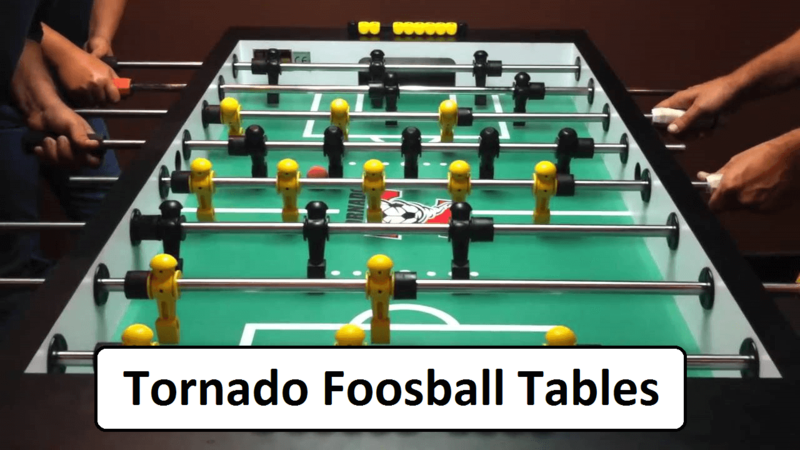 The Tornado Foosball Tables has several excellent models that we’ve reviewed….all of which have ended up in our top 15 best overall foosball tables. That’s by far the most out of any brand, and it’s no wonder, when they’re so damn good. Check out our best foosball tables page here to see all of our reviews, including the Tornados, or click the links below to see a specific page.